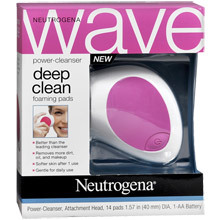 When people are searching for a gentle cleanser, they usually don’t think to go to product lines that are targeted to teens with acne. 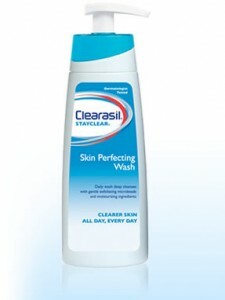 However, Clearasil’s StayClear Skin Perfecting Wash is the gentlest exfoliator we’ve ever tried. 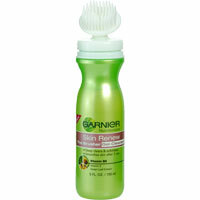 The microbeads are extremely small and rounded, so you don’t have to worry about irritating your skin. Salicylic acid can be drying, but this creamy face wash also contains moisturizing ingredients so your skin can be acne free AND soft. Since this product is gentle enough for everyday use, this is our new daily face wash (luckily the bottle has a generous amount). 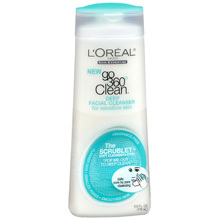 This particular face wash also removed makeup off better than the other Clearasil face washes we’ve tried. When visiting the skin care aisle any drug store, you’ll see that you have to choose between mild cleansers and harsh products for acne. 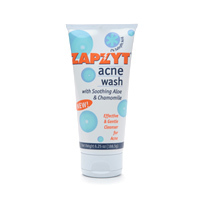 We were on the hunt for something that would destroy acne, but not our skin in the process, and came across Zapzyt Acne Wash.
Zapzyt is a line of products geared toward eliminating acne (hence the name), and they are so confident about their product that they offer a money back guarantee. We were excited to see that Zapzyt Acne Wash contains skin soothing ingredients like aloe and chamomile. Using cleansers with salicylic acid on a daily basis can take a toll on those of us with sensitive skin…but we found that we were able to keep using it without any irritation. Zapzyt products are available at about every drug store in the nation, if you’d like to give it a try check out http://zapzyt.com/products/ to get a coupon for $2.00 of any Zapzyt product.